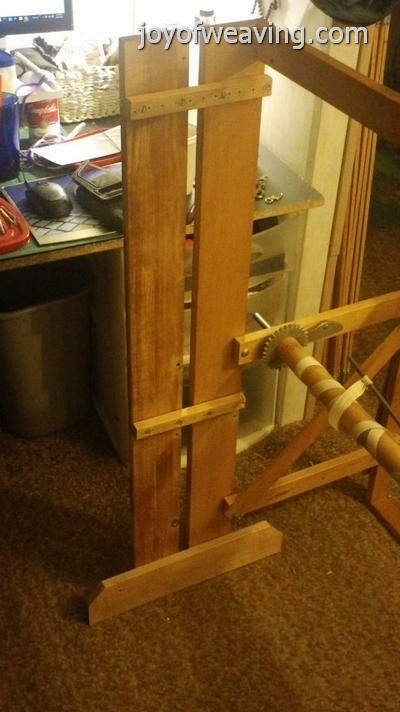 Can you hack 2 looms togther? Why yes, yes you can. 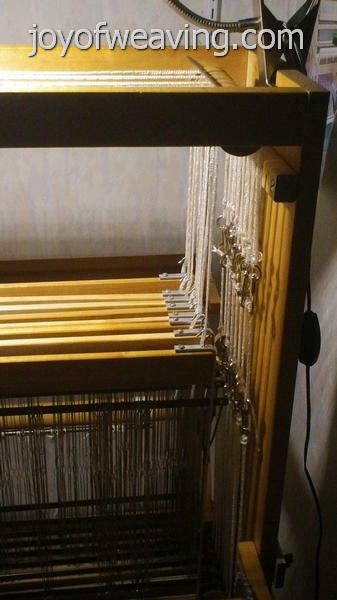 I've done a lot of loom hacks but never anything quite this big. 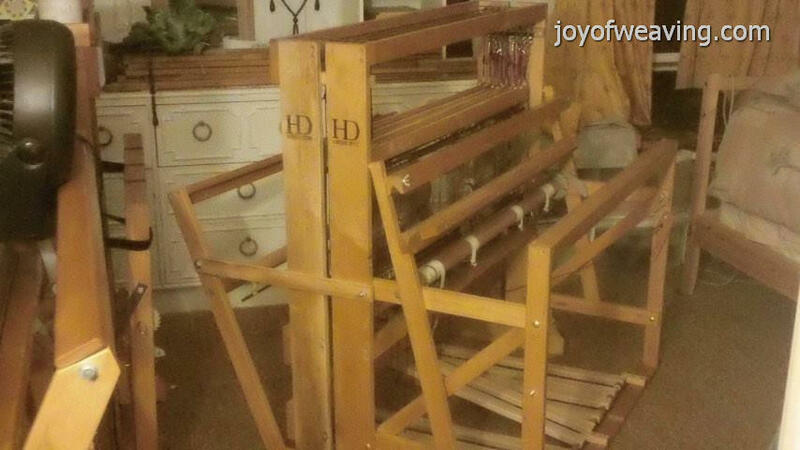 I manged to get ahold of 2 Harrisville Designs 4 shaft looms @ 36" weaving width. One cost $250 and the other cost $30. 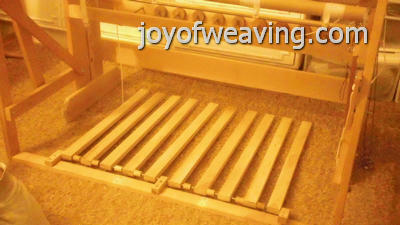 We took the front half lf the better loom and attached the back half of the second loom to make a single 8 shaft loom. 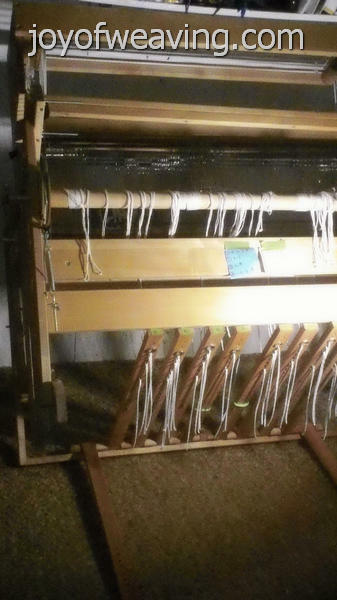 We rigged up lamms and made all new treadles and feet with the left over pieces from the second loom. 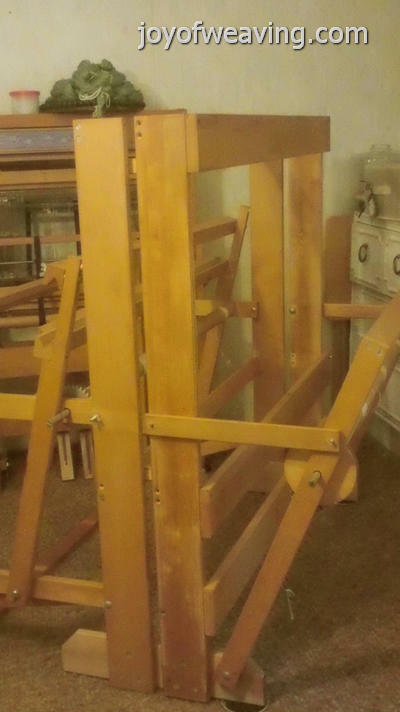 Here's the lamms I'm now using which were made of metal rods and works out much better. 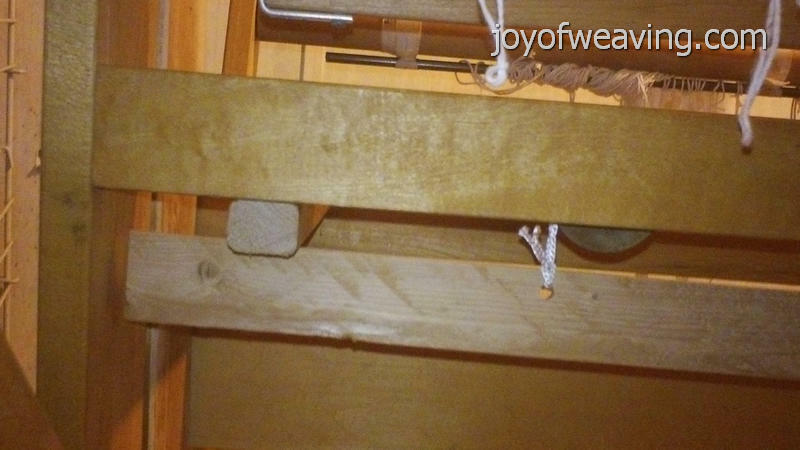 The weight counterbalances the weight of the shafts and makes treadling multiple shafts on one treadle much easier. 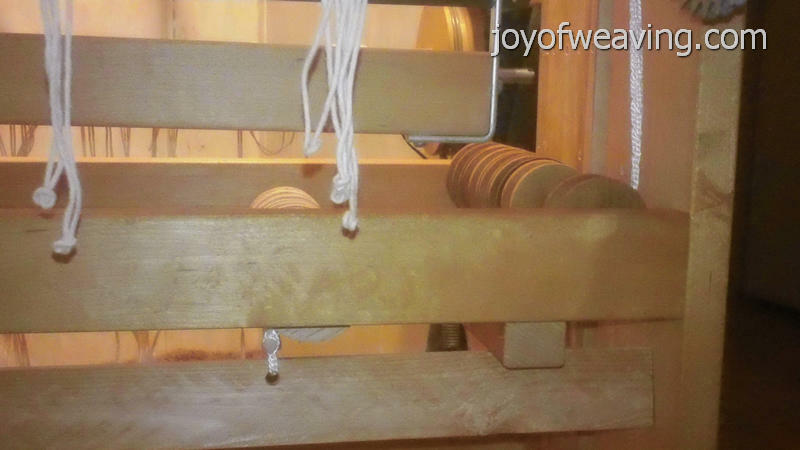 Holes were drilled into the treadles to correspond to the lamms above them. 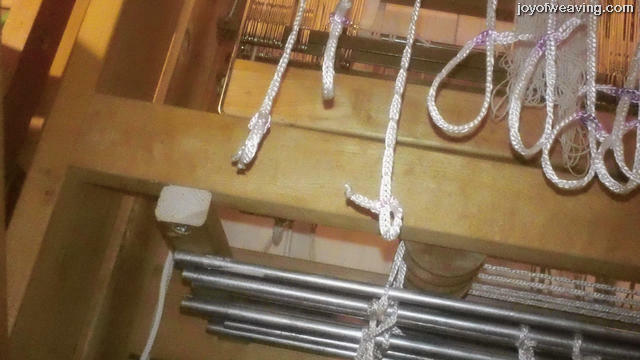 To do the tie ups, I lean the loom up against somethng to expose the bottom of the treadles. I thread a hairpin through the last loop of the Texsolv and leave it on there. 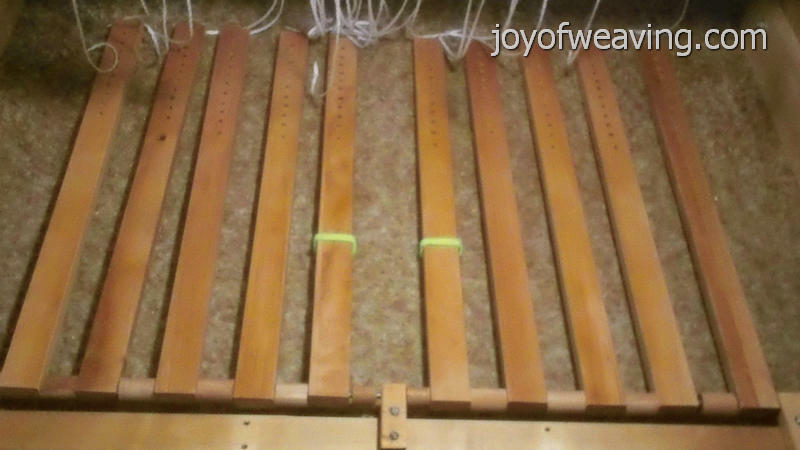 They make for superb tools for threading the texsolv through the holes in the treadles. Then I take a metal barbeque skewer and poke it into the loops of the Texsolv. This takes a bit of adjustment but once I got it in just the right spot, I marked the loop in the Texsolv with a Sharpie Marker for future reference.